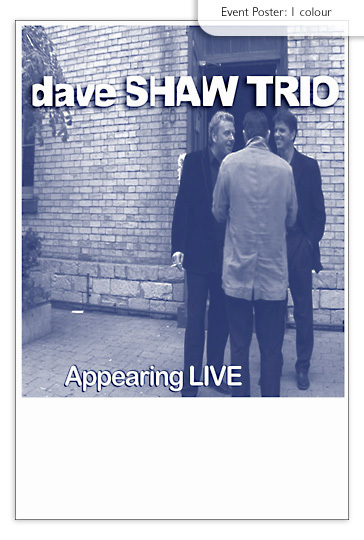 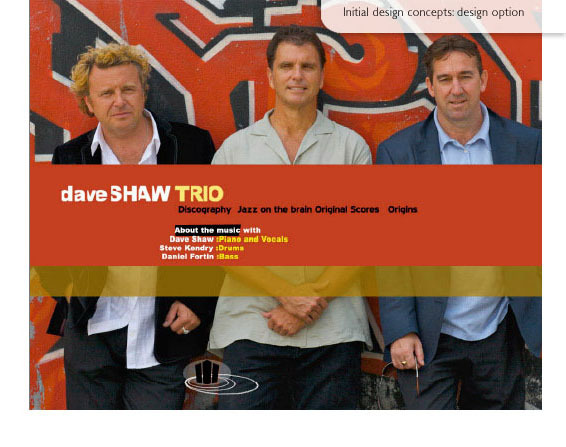 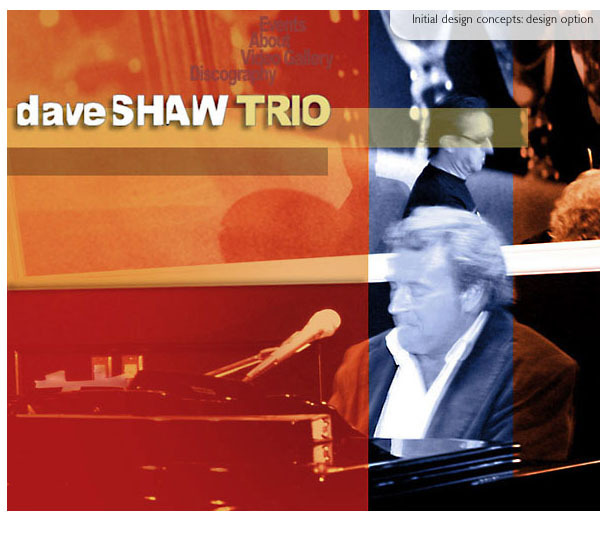 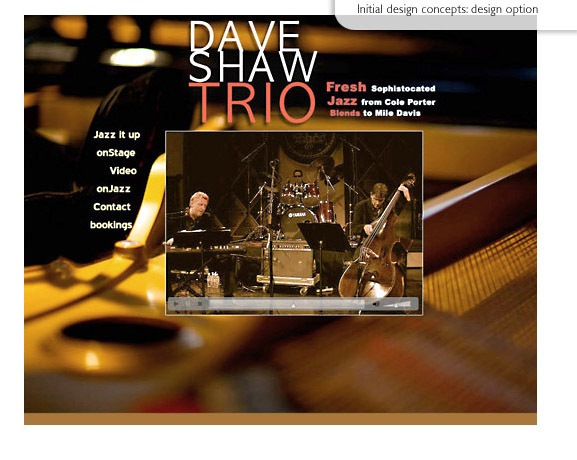 Jafla Graphics was asked to redesign Dave Shaw Trio's music web site. 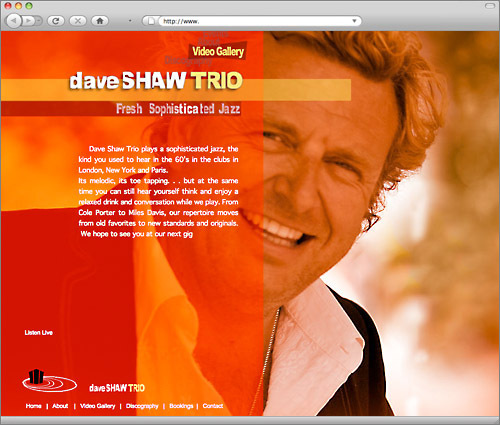 The direction for the new web site was to echo the feeling of the old 'Blue Note Records' graphic style. 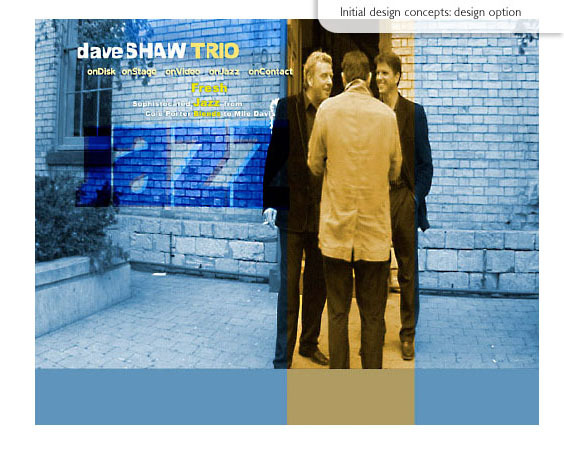 The final design was derived from a number of initial concepts from the series presented. 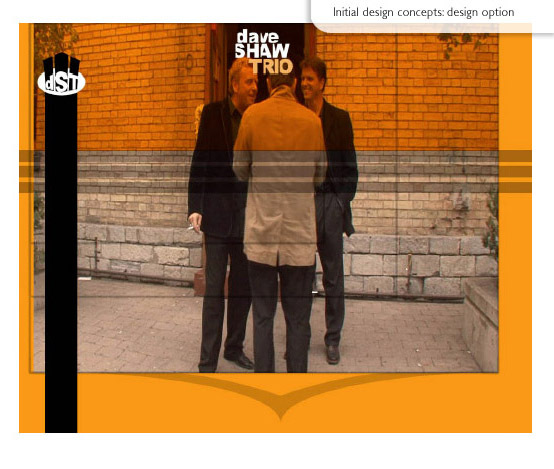 Collateral: Print Production; Poster; DVD Tray Card & Booklet; Stickers, Email Promotional Invite. 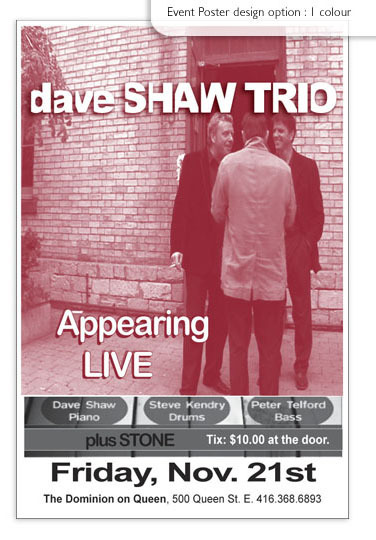 Poster: Printed for street distibution. 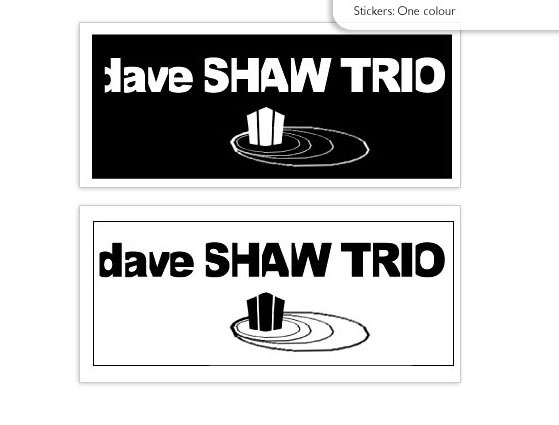 Promotional Pieces: Stickerts - printed in one colour.